1700 BCE, Harappa – The devta of Harappa has fallen…tortured and condemned to the dungeons of the dead. His murdered wife’s pious blood falls on the sands of the metropolis, sealing the black fate of Harappa…forever. 2017, Banaras – A master assassin bites into cyanide, but not before pronouncing the arrival of an unstoppable, dark force. A maha-taantric offers a chilling sacrifice. 325 AD, Bithynian City (modern-day Turkey) – Unable to foresee the monster he was untethering, an extraordinary monarch commissions a terrifying world-vision spanning millennia. 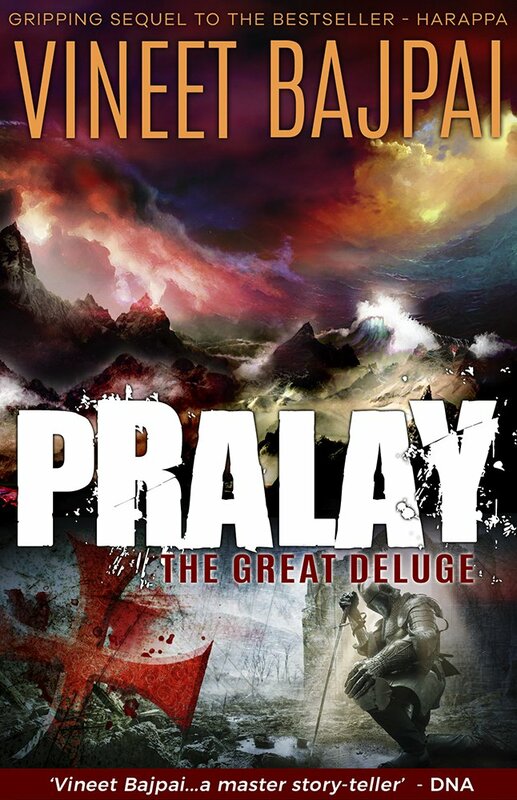 1700 BCE, East of Harappa – A mystical fish-man proclaims the onset of Pralay – the extinction of mankind. The Blood River rises to avenge her divine sons.